DR. R.H. Sundar, MBBS, MD (Internal. Med. ), D.Diab., DNB (Cardio), FNB (Interventional Cardiology) – Hariharan Diabetes & Heart Care Hospitals (P) Ltd.
Dr. R.H.Sundar, MBBS, MD (Internal Medicine), Dip Diabetology, DNB Cardiology, FNB Interventional Cardiology, is the full-time consultant in Cardiology and Diabetology in Hariharan Diabetes and Heart Care Hospitals. He is the Director of Cardiology and Cath Lab services in this hospital. He qualified from the Madras Medical College in 2001 (MBBS), MD from Sri Ramachandra Medical College in 2005, DNB in Cardiology from Railway Hospital in 2009 and FNB in Interventional Cardiology from Narayana Hrudayalaya in 2012. He had been the best outgoing student right from his college days and had received gold medals in MD, DNB and FNB courses. He had started his private practice in 2005 in Nanganallur soon after he completed his MD in General Medicine. He started practicing Cardiology in 2009. He soon established the Department of Cardiology in this hospital and named it the “Madras Heart Centre” on 1st June 2012. 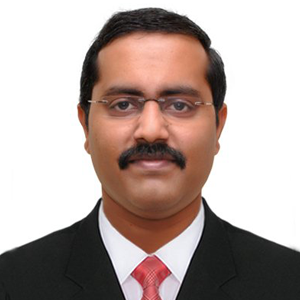 Dr. Sundar started the state-of-the-art flat panel Cath Lab on 1st February 2013. He is a pioneer in Clinical Cardiology, Non-invasive Cardiology, Interventional Cardiology and Intensive Care Medicine. He has one of the busiest Cardiology outpatient services in South Chennai. He actively manages the Coronary Care unit along with his team members and specialists. He has performed more than 6000 procedures in Cath lab which include Coronary Angiogram, Coronary angioplasty, Primary Angioplasty, Peripheral angiogram, Peripheral Angioplasty, Pacemaker Implantation, Electrophysiological Studies, Radiofrequency Ablation, Balloon Mitral Valvotomy and Device closure for birth defects in the heart. He has presented interesting papers in various national and international conferences. He is a very good orator and teacher. He is a regular participant of many national and international meetings as a faculty. He is a life member of various medical councils and medical associations. His areas of interest are Coronary Interventions in Acute Myocardial Infarction setting, Interventions in Chronic total Occlusions and bifurcation lesions, percutaneous valve replacement procedures. His vision is to bring state-of-the-art comprehensive and unique Heart Care on par with national and international standards.